Chronic renal failure is a condition in which the glomerular filtration rate decreases and renal tissue no longer functions due to the progressive and irreversible destruction of nephrons. Patients with terminal renal failure can extend their lives only through renal replacement therapies such as dialysis and renal transplantation [1López-Novoa JM, Rodríguez-Peña AB, Ortiz A, Martínez-Salgado C, López Hernández FJ. Etiopathology of chronic tubular, glomerular and renovascular nephropathies: Clinical implications. J Transl Med 2011; 9(13): 13. [http://dx.doi.org/10.1186/1479-5876-9-13] [PMID: 21251296] ]. The number of patients receiving renal replacement therapy is increasing rapidly, and 67% of these patients receive hemodialysis [2Jin DC, Yun SR, Lee SW, et al. Lessons from 30 years’ data of Korean end-stage renal disease registry, 1985-2015. Kidney Res Clin Pract 2015; 34(3): 132-9. [http://dx.doi.org/10.1016/j.krcp.2015.08.004] [PMID: 26484 037] ]. Therapeutic fluid restriction reportedly induces xerostomia in 28.2~85.5% of hemodialysis patients, which causes serious discomforts such as difficulty in chewing, swallowing, and talking, in their daily living and is detrimental to their quality of life [3Bots CP, Brand HS, Veerman EC, et al. The management of xerostomia in patients on haemodialysis: Comparison of artificial saliva and chewing gum. Palliat Med 2005; 19(3): 202-7. [http://dx.doi.org/10.1191/0269216305pm1009oa] [PMID: 159 20934] ]. Xerostomia in hemodialysis patients is aggravated further by various factors, including chronic diseases, the side effects of specific drugs, old age, and the lower salivary flow [4Bossola M, Tazza L. Xerostomia in patients on chronic hemodialysis. Nat Rev Nephrol 2012; 8(3): 176-82. [http://dx.doi.org/10.1038/nrneph.2011.218] [PMID: 22249 779] ]. Xerostomia with a reduced salivary flow rate and high saliva viscosity generally causes halitosis by increasing the volatile sulfur compounds produced by intraoral bacteria [5Cortelli JR, Barbosa MDS, Westphal MA. Halitosis: A review of associated factors and therapeutic approach. Braz Oral Res 2008; 22(1)(Suppl. 1): 44-54. [http://dx.doi.org/10.1590/S1806-83242008000500007] [PMID: 19838550] ]. Other factors that induce halitosis in hemodialysis patients include periodontal diseases and the acidification of saliva. The salivary pH is closely related to salivary flow. When salivary secretion rate is low, salivary pH is decreased drastically, thus increasing halitosis [6Cho EA, Kim KH. Correlation among xerostomia, halitosis, and salivary pH in older adults. J Korean Gerontol Nurs 2012; 14(1): 69-78.]. Salivary pH is generally 6.5. Slightly acidic pH can suppress the growth and proliferation of Gram-negative and anaerobic bacteria, hindering the activation of enzymes necessary for putrefaction of amino acids whose end products have foul smell because these compounds contain reduced sulfur [7Motta LJ, Bachiega JC, Guedes CC, Laranja LT, Bussadori SK. Association between halitosis and mouth breathing in children. Clinics (São Paulo) 2011; 66(6): 939-42. [http://dx.doi.org/10.1590/S1807-59322011000600003] [PMID: 21808855] ]. Saliva of individuals with xerostomia often has more acidic pH [8Tolentino EdeS, Chinellato LEM, Tarzia O. Saliva and tongue coating pH before and after use of mouthwashes and relationship with parameters of halitosis. J Appl Oral Sci 2011; 19(2): 90-4. [http://dx.doi.org/10.1590/S1678-77572011000200002] [PMID: 21552707] ]. A lower salivary flow acidifies saliva by decreasing the level of bicarbonate in the saliva, and this acidification worsens halitosis by causing dental caries and increasing the amount of tongue coating and the activity of intraoral acidic bacteria [9Jee YJ, Kim JS, Lee JH, Joung ES. A study on the relationship between halitosis developments and oral environmental. J Den Hyg Sci 2010; 10(2): 101-7.]. Lower salivary pH and lower amount of saliva are associated with more halitosis [10Costa HO, Neto OM, Eckley CA. Is there a relationship between the pH and volume of saliva and esophageal pH-metry results? Dysphagia 2005; 20(3): 175-81. [http://dx.doi.org/10.1007/s00455-005-0016-y] [PMID: 16362506] ]. Owing to the disagreeable bad or unpleasant odor emanating from the mouth air and breath, talking face to face and forming social relations with others are difficult [4Bossola M, Tazza L. Xerostomia in patients on chronic hemodialysis. Nat Rev Nephrol 2012; 8(3): 176-82. [http://dx.doi.org/10.1038/nrneph.2011.218] [PMID: 22249 779] ]. Previous studies of the oral problems experienced by hemodialysis patients have been limited to surveys of the severity of halitosis [11Curtin RB, Bultman DC, Thomas-Hawkins C, Walters BA, Schatell D. Hemodialysis patients’ symptom experiences: Effects on physical and mental functioning. Nephrol Nurs J 2002; 29(6): 562. [PMID: 12596605] ], xerostomia [12Al-yassiri AMH. Prevalence of xerostomia in patients with chronic hemodialysis in Babil city. Karbala J Med 2014; 7(1): 1822-8., 13Wilczynska-Borawska M, Baginska J, Borawski J. Is xerostomia a risk factor for cardiovascular morbidity and mortality in maintenance hemodialysis patients? Med Hypotheses 2012; 79(4): 544-8. [http://dx.doi.org/10.1016/j.mehy.2012.07.016] [PMID: 22874 451] ], and periodontitis [14Bayraktar G, Kazancioglu R, Bozfakioglu S, Yildiz A, Ark E. Evaluation of salivary parameters and dental status in adult hemodialysis patients. Clin Nephrol 2004; 62(5): 380-3. [http://dx.doi.org/10.5414/CNP62380] [PMID: 15571184] ], and interventions for oral problems such as gum chewing [15Said H, Mohammed H. Effect of chewing gum on xerostomia, thirst and interdialytic weight gain in patients on hemodialysis. Life Sci J 2013; 10(2): 1767-77. ], acupressure [16Furness S, Bryan G, McMillan R, Birchenough S, Worthington HV. Interventions for the management of dry mouth: Nonpharmacological interventions. Cochrane Database Syst Rev 2013; 9: CD009603. ], medication [17Masajtis-Zagajewska A, Nowicki M. Influence of dual blockade of the renin-angiotensin system on thirst in hemodialysis patients. Nephron Clin Pract 2009; 112(4): c242-7. [http://dx.doi.org/10.1159/000224790] [PMID: 19546583] ], artificial saliva [3Bots CP, Brand HS, Veerman EC, et al. The management of xerostomia in patients on haemodialysis: Comparison of artificial saliva and chewing gum. Palliat Med 2005; 19(3): 202-7. [http://dx.doi.org/10.1191/0269216305pm1009oa] [PMID: 159 20934] ], and psychological intervention [18Bellomo G, Coccetta P, Pasticci F, Rossi D, Selvi A. The effect of psychological intervention on thirst and interdialytic weight gain in patients on chronic hemodialysis: A randomized controlled trial. J Ren Nutr 2015; 25(5): 426-32. [http://dx.doi.org/10.1053/j.jrn.2015.04.005] [PMID: 26003 264] ]. Further research is needed to identify the most appropriate type of oral care for hemodialysis patients. Gargling with various solutions has been used as an oral intervention for cancer patients [19Lalla RV, Sonis ST, Peterson DE. Management of oral mucositis in patients who have cancer. Dent Clin North Am 2008; 52(1): 61-77, viii. [http://dx.doi.org/10.1016/j.cden.2007.10.002] [PMID: 18154 865] ], surgical patients [20Song JA, Hur MH. Effects of A-solution on halitosis and oral status in preoperative NPO patients. J Korean Acad Nurs 2012; 42(3): 405-13. [http://dx.doi.org/10.4040/jkan.2012.42.3.405] [PMID: 22854 553] ], healthy people [21Cho MK, Cho YH. Comparisons of the effects of A-solution and 0.9% normal saline oral gargling on xerostomia, halitosis, and salivary pH in nursing students. J Korean Biol Nurs Sci 2014; 16(2): 141-9. [http://dx.doi.org/10.7586/jkbns.2014.16.2.141] ], and the elderly [22Chung SH. The effects of an essential oil mouthrinse on oral health in the community indwelling elderly. Taehan Kanho Hakhoe Chi 2006; 36(1): 84-93. [http://dx.doi.org/10.4040/jkan.2006.36.1.84] [PMID: 16520 567] ], and mouthwashes that are commonly used in clinical applications include physiological saline, Betadine, Tantum, and Nystatin. These solutions contribute to oral care through exerting various effects on oral mucosa, such as cleaning, disinfection, sterilization, infection prevention, and antifungal effect. However, Betadine and Tantum solutions irritate the oral mucosa, Chlorhexidine turns the tongue and gum yellowish brown and is likely to change the sense of taste, and physiological saline, which does not have a sterilizing effect, has to be used together with other mouthwashes [23Hur SH, Jung MA, Kim HS, Kwan IG, Hong JH, Park EY. The effect of GM-CSF oral gargle vs traditional betadine or chlorhexidine oral gargle in chemotherapy-induced stomatitis. J Korean Clin Nurs Res 2003; 8(2): 169-82.]. In contrast, aromatherapy, which has been studied recently from various perspectives, is a safe and effective method with few side effects, and the effects of aroma on the oral cavity include reduction of halitosis, mitigation of intraoral inflammation, sedation, analgesia, and anti-inflammation [24Serio FG. Understanding dental health 1998.]. It was estimated that at least 23 participants would be required in each of the experimental and control groups (i.e., at least 46 in total), as calculated using the G* power program (version 3.1.2) for an effect size of .86 which is calculated from a previous study [25Hur MH, Park JH. Wendy Maddock-Jennings, Kim DO, Lee MS. Reduction of mouth malodor and volatile sulphur compounds in intensive care patients using an essential oil mouthwash. Phytother Res 2007; 21: 641-3. [http://dx.doi.org/10.1002/ptr.2127] [PMID: 17380550] ], a significance level (α) of 0.05, a test power (1-β) of 0.8, a two-sided test, and a 1:1 assignment to each group. In consideration of a predicted maximum dropout rate of 20%, the present study therefore included 28 participants in each group; all 56 participants completed the research since there were no dropouts. Xerostomia, salivary pH, and subjective and objective halitosis were measured at 5, 30, 60, and 120 minutes after the experimental treatment in the experimental group, and after the pretest in the control group. Based on previous studies [15Said H, Mohammed H. Effect of chewing gum on xerostomia, thirst and interdialytic weight gain in patients on hemodialysis. Life Sci J 2013; 10(2): 1767-77., 16Furness S, Bryan G, McMillan R, Birchenough S, Worthington HV. Interventions for the management of dry mouth: Nonpharmacological interventions. Cochrane Database Syst Rev 2013; 9: CD009603., 20Song JA, Hur MH. Effects of A-solution on halitosis and oral status in preoperative NPO patients. J Korean Acad Nurs 2012; 42(3): 405-13. [http://dx.doi.org/10.4040/jkan.2012.42.3.405] [PMID: 22854 553] ], the effect of experimental treatment was measured at 5, 30, and 60 minutes after the treatment, and its long-term effect was measured after 120 minutes. Homogeneity of characteristics of participants (n=56). Homogeneity test for outcome variables between the two groups (n=56). Comparison of xerostomia, salivary pH, halitosis over the time between the two groups (n=56). When gargling with A-Solution was applied to hemodialysis patients in this study, the degree of xerostomia did not differ between the experimental and control groups, but it did differ significantly across the time points and in the interaction between group and time point. Xerostomia decreased in the experimental group after the treatment compared to that in the pretest, while in the control group it was more than twofold higher at 120 minutes after the pretest than that in the pretest. This is similar to a previous report [21Cho MK, Cho YH. Comparisons of the effects of A-solution and 0.9% normal saline oral gargling on xerostomia, halitosis, and salivary pH in nursing students. J Korean Biol Nurs Sci 2014; 16(2): 141-9. [http://dx.doi.org/10.7586/jkbns.2014.16.2.141] ] of the application of aroma gargling to nursing students involving a mixture of peppermint, tea tree, and lemon at a ratio of 2:1:2 and diluted to 0.15% decreasing xerostomia at 60 and 120 minutes after the treatment compared to the saline comparison group. This is also similar to another study [26Jung HJ, Yun JY, Park JE, et al. Comparison of the effects of lemon ice and water ice on decreasing thirst of the patients with nasal surgery. J Korean Clin Nurs Res 2012; 18(2): 196-204.] finding that when the effects of lemon ice and spring-water ice on thirst and the oral condition was examined in nasal-surgery patients, by providing the experimental group with lemon ice and the control group with spring-water ice twice at an interval of 15 minutes and then measuring after 10 minutes, the level of thirst decreased significantly in both groups but the decrease was significantly larger in the lemon-ice group. In the present study, the participants gargled once only with the mixture of peppermint, lemon, and tea tree at a ratio of 1:2:1 diluted to 0.1%, but xerostomia was still reduced markedly at 5 minutes after gargling. Xerostomia then subsequently increased gradually at 30 and 60 minutes after gargling, and decreased at 120 minutes. Xerostomia in the control group increased over times, result in a significant difference between the two groups after 120 minutes, demonstrating that A-Solution is effective for up to 120 minutes. It is believed that the sour taste of lemon, which was commonly included in the interventions applied in the previous study [20Song JA, Hur MH. Effects of A-solution on halitosis and oral status in preoperative NPO patients. J Korean Acad Nurs 2012; 42(3): 405-13. [http://dx.doi.org/10.4040/jkan.2012.42.3.405] [PMID: 22854 553] , 21Cho MK, Cho YH. Comparisons of the effects of A-solution and 0.9% normal saline oral gargling on xerostomia, halitosis, and salivary pH in nursing students. J Korean Biol Nurs Sci 2014; 16(2): 141-9. [http://dx.doi.org/10.7586/jkbns.2014.16.2.141] ] and this study, increased salivary secretion. The finding of the previous study [20Song JA, Hur MH. Effects of A-solution on halitosis and oral status in preoperative NPO patients. J Korean Acad Nurs 2012; 42(3): 405-13. [http://dx.doi.org/10.4040/jkan.2012.42.3.405] [PMID: 22854 553] ] that xerostomia decreased at 20 minutes after two treatments demonstrates the short-term effect of aroma. In general, xerostomia increases during the hemodialysis because fluid removal in the body increases [27Lindley E, Aspinall L, Gardiner C, Garthwaite E. Management of fluid status in haemodialysis patients: The roles of technology and dietary advice. Maria Goretti Penido, eds Technical problems in patients on hemodialysis 2011. [serial on the Internet]. [cited 2016 July 4]; Available from: http:// www.intechopen.com/books/technical-problems-in-patients-on-hemodialysis/management-of-fluid-statusin-haemodialysis-patients-the-roles-of-technology-and-dietary-advice. [http://dx.doi.org/10.5772/25199] ], but the present study has demonstrated the long-term effect of gargling for up to 120 minutes by providing gargling treatment at a mixing ratio lower than that used in the previous study [20Song JA, Hur MH. Effects of A-solution on halitosis and oral status in preoperative NPO patients. J Korean Acad Nurs 2012; 42(3): 405-13. [http://dx.doi.org/10.4040/jkan.2012.42.3.405] [PMID: 22854 553] ]. Since this study measured subjective dryness and thirst using a visual analog scale, as in the previous studies [20Song JA, Hur MH. Effects of A-solution on halitosis and oral status in preoperative NPO patients. J Korean Acad Nurs 2012; 42(3): 405-13. [http://dx.doi.org/10.4040/jkan.2012.42.3.405] [PMID: 22854 553] , 21Cho MK, Cho YH. Comparisons of the effects of A-solution and 0.9% normal saline oral gargling on xerostomia, halitosis, and salivary pH in nursing students. J Korean Biol Nurs Sci 2014; 16(2): 141-9. [http://dx.doi.org/10.7586/jkbns.2014.16.2.141] , 26Jung HJ, Yun JY, Park JE, et al. Comparison of the effects of lemon ice and water ice on decreasing thirst of the patients with nasal surgery. J Korean Clin Nurs Res 2012; 18(2): 196-204.] involving nursing students and involving preoperative NPO patients and nasal-surgery patients using lemon ice, further research may be necessary that measures xerostomia using objective physiological indicators such as the salivary flow rate. When salivary pH was measured after gargling with A-Solution, significant differences were observed between the experimental and control groups, across time points, and in the interaction between group and time point. Repeated-measures ANOVA revealed a significant difference across time points. Univariate analysis of each time point using the pretest salivary pH as a covariate found that the salivary pH values at 30 and 60 minutes after the treatment were significantly lower in the control group. This is consistent with the results [20Song JA, Hur MH. Effects of A-solution on halitosis and oral status in preoperative NPO patients. J Korean Acad Nurs 2012; 42(3): 405-13. [http://dx.doi.org/10.4040/jkan.2012.42.3.405] [PMID: 22854 553] ] obtained by applying aroma gargling (30 ml) twice to preoperative NPO (“nil per os” [nothing by mouth]) patients using a mixture of peppermint, lemon, and tea tree at a ratio of 1:2:2 and diluted to 0.125%, in which their salivary pH after 20 minutes was decreased about three times more in the control group than in the experimental group. A further study [22Chung SH. The effects of an essential oil mouthrinse on oral health in the community indwelling elderly. Taehan Kanho Hakhoe Chi 2006; 36(1): 84-93. [http://dx.doi.org/10.4040/jkan.2006.36.1.84] [PMID: 16520 567] ] provided oral care to community-dwelling elderly four times a day for 2 weeks using 20 ml of aroma prepared using a mixture of tea tree, mandarin, and myrrh at a ratio of 5:4:1 and diluted to 0.5%, and found that the salivary pH was increased in the experimental group just after the treatment. The pretest salivary pH was 6.72 in the experimental group and 6.63 in the control group in the previous study [20Song JA, Hur MH. Effects of A-solution on halitosis and oral status in preoperative NPO patients. J Korean Acad Nurs 2012; 42(3): 405-13. [http://dx.doi.org/10.4040/jkan.2012.42.3.405] [PMID: 22854 553] ] involving preoperative NPO patients, and 6.91 in the experimental group in the present study. These results did not support the hypothesis that the saliva of hemodialysis patients is more acidic in general. However, in the study involving surgical patients, the salivary pH decreased in both the experimental group and the control group, but the decrease was smaller in the experimental group, and in the study [22Chung SH. The effects of an essential oil mouthrinse on oral health in the community indwelling elderly. Taehan Kanho Hakhoe Chi 2006; 36(1): 84-93. [http://dx.doi.org/10.4040/jkan.2006.36.1.84] [PMID: 16520 567] ] involving community-dwelling elderly, the salivary pH increased in the experimental groups after the treatment but decreased in the control groups, as in the present study; all of these findings suggest that aroma gargling is a useful intervention for increasing the salivary pH. This study measured the salivary pH using BTB pH test paper, the previous studies [20Song JA, Hur MH. Effects of A-solution on halitosis and oral status in preoperative NPO patients. J Korean Acad Nurs 2012; 42(3): 405-13. [http://dx.doi.org/10.4040/jkan.2012.42.3.405] [PMID: 22854 553] , 21Cho MK, Cho YH. Comparisons of the effects of A-solution and 0.9% normal saline oral gargling on xerostomia, halitosis, and salivary pH in nursing students. J Korean Biol Nurs Sci 2014; 16(2): 141-9. [http://dx.doi.org/10.7586/jkbns.2014.16.2.141] ] involving nursing students and surgical patients used BTB and BCP (bromocresol purple) pH test paper, and the previous study [26Jung HJ, Yun JY, Park JE, et al. Comparison of the effects of lemon ice and water ice on decreasing thirst of the patients with nasal surgery. J Korean Clin Nurs Res 2012; 18(2): 196-204.] involving community-dwelling elderly using frozen saliva and a pH meter in the laboratory. The results of the present study that salivary pH increased after the treatment in the experimental group and decreased in the control group are consistent with the findings of previous studies [28Kang HY, Na SS, Kim YK. Effects of oral care with essential oil on improvement in oral health status of hospice patients. J Korean Acad Nurs 2010; 40(4): 473-81. [http://dx.doi.org/10.4040/jkan.2010.40.4.473] [PMID: 20820 114] ] that halitosis is generally associated with a lower salivary flow and the acidification of saliva. Thus, it is considered necessary to generalize these results through replication studies and to perform additional research on the associations among halitosis, xerostomia, and salivary pH. The level of subjective halitosis measured after gargling with A-Solution differed significantly between the two groups, across time points, and in the interaction between group and time point. The level of subjective halitosis decreased by 1.29 in the experimental group at 120 minutes after the treatment compared to that in the pretest, and increased by 1.64 in the control group at 120 minutes after the pretest, showing that gargling with A-Solution lowered the level of subjective halitosis. Previous studies [20Song JA, Hur MH. Effects of A-solution on halitosis and oral status in preoperative NPO patients. J Korean Acad Nurs 2012; 42(3): 405-13. [http://dx.doi.org/10.4040/jkan.2012.42.3.405] [PMID: 22854 553] , 21Cho MK, Cho YH. Comparisons of the effects of A-solution and 0.9% normal saline oral gargling on xerostomia, halitosis, and salivary pH in nursing students. J Korean Biol Nurs Sci 2014; 16(2): 141-9. [http://dx.doi.org/10.7586/jkbns.2014.16.2.141] , 25Hur MH, Park JH. Wendy Maddock-Jennings, Kim DO, Lee MS. Reduction of mouth malodor and volatile sulphur compounds in intensive care patients using an essential oil mouthwash. Phytother Res 2007; 21: 641-3. [http://dx.doi.org/10.1002/ptr.2127] [PMID: 17380550] , 28Kang HY, Na SS, Kim YK. Effects of oral care with essential oil on improvement in oral health status of hospice patients. J Korean Acad Nurs 2010; 40(4): 473-81. [http://dx.doi.org/10.4040/jkan.2010.40.4.473] [PMID: 20820 114] ] have used the following aroma mixtures and dilution ratios: (1) peppermint, lemon, and tea tree diluted to 0.125% in preoperative NPO patients; (2) geranium, lavender, tea tree, and peppermint diluted to 0.5% in hospice patients; (3) peppermint, lemon, and tea tree diluted to 0.15% in nursing students; and (4) peppermint, lemon, and tea tree diluted to 0.125% in intensive care (ICU) patients; the corresponding numbers of treatments and measurement time points were (1) at 5 and 60 minutes after one oral-care treatment, (2) at 20 minutes after two gargling treatments, (3) at 60 and 120 minutes after three gargling treatments, and (4) for 7 days of oral care using gauze twice daily, respectively. The tools used in these previous studies were VASs, as in the present study. The previous study [25Hur MH, Park JH. Wendy Maddock-Jennings, Kim DO, Lee MS. Reduction of mouth malodor and volatile sulphur compounds in intensive care patients using an essential oil mouthwash. Phytother Res 2007; 21: 641-3. [http://dx.doi.org/10.1002/ptr.2127] [PMID: 17380550] ] involving ICU patients found that subjective halitosis was significantly less severe in the aroma group than in the control group that used Tantum. In the study [20Song JA, Hur MH. Effects of A-solution on halitosis and oral status in preoperative NPO patients. J Korean Acad Nurs 2012; 42(3): 405-13. [http://dx.doi.org/10.4040/jkan.2012.42.3.405] [PMID: 22854 553] ] involving preoperative NPO patients, both the experimental and control groups showed an increase in the level of subjective halitosis, but this increase was 50% in the experimental group and 300% in the control group. These results suggest that aroma gargling is an intervention that both mitigates halitosis and inhibits the aggravation of halitosis, and the lowered level of subjective halitosis observed in several previous studies is believed to be attributable to the effect of aroma gargling against halitosis. The level of objective halitosis decreased from 3.0 in the pretest to 1.75 at 120 minutes after the treatment in the experimental group in the present study, and increased by 0.29 in the control group, with this between the two groups being statistically significant. The level of objective halitosis also differed significantly across time points; that is, it decreased until 30 minutes after the treatment, and then increased gradually at 60 and 120 minutes, but remained lower than that in the pretest. This result is consistent with a previous report [20Song JA, Hur MH. Effects of A-solution on halitosis and oral status in preoperative NPO patients. J Korean Acad Nurs 2012; 42(3): 405-13. [http://dx.doi.org/10.4040/jkan.2012.42.3.405] [PMID: 22854 553] ] that the level of halitosis and xerostomia differed significantly between the groups until 20 minutes after applying aroma gargling to preoperative NPO patients. With regard to research tools, those studies [20Song JA, Hur MH. Effects of A-solution on halitosis and oral status in preoperative NPO patients. J Korean Acad Nurs 2012; 42(3): 405-13. [http://dx.doi.org/10.4040/jkan.2012.42.3.405] [PMID: 22854 553] , 21Cho MK, Cho YH. Comparisons of the effects of A-solution and 0.9% normal saline oral gargling on xerostomia, halitosis, and salivary pH in nursing students. J Korean Biol Nurs Sci 2014; 16(2): 141-9. [http://dx.doi.org/10.7586/jkbns.2014.16.2.141] , 28Kang HY, Na SS, Kim YK. Effects of oral care with essential oil on improvement in oral health status of hospice patients. J Korean Acad Nurs 2010; 40(4): 473-81. 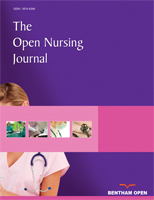 [http://dx.doi.org/10.4040/jkan.2010.40.4.473] [PMID: 20820 114] ] involving preoperative NPO patients, nursing students, and community-dwelling elderly used a portable halitosis detector, as in the present study. The study involving preoperative NPO patients compared between measurements made with a portable halitosis detector and a VAS, and found consistency between the results obtained using these two techniques. In addition, the pretest level of objective halitosis was 2.53 in the study involving nurses, 2.09 in that involving preoperative NPO patients, and 3.00 in the present study involving hemodialysis patients, suggesting that the level of halitosis is higher in hemodialysis patients than in other groups and therefore that these patients require their own interventions for halitosis. In the present study, the aroma oil was diluted thinly to 0.1% based on consideration of the lowered renal excretion capacity of hemodialysis patients, but this solution was still effective in reducing halitosis. In general, the level of halitosis may decrease concomitantly with the decreasing blood urea level as dialysis proceeds, but because the blood urea level before dialysis did not differ significantly between the groups, the lower level of objective halitosis in the experimental group is believed to be attributable to the effect of gargling with A-Solution. Moreover, the level of halitosis decreased for up to 120 minutes after a single treatment in the experimental group, while it increased over time in the control group, which further suggests that aroma gargling has a long-lasting effect. In order to confirm the effect of aroma gargling for longer than 1 hour as tested in a previous study [20Song JA, Hur MH. Effects of A-solution on halitosis and oral status in preoperative NPO patients. J Korean Acad Nurs 2012; 42(3): 405-13. [http://dx.doi.org/10.4040/jkan.2012.42.3.405] [PMID: 22854 553] , 21Cho MK, Cho YH. Comparisons of the effects of A-solution and 0.9% normal saline oral gargling on xerostomia, halitosis, and salivary pH in nursing students. J Korean Biol Nurs Sci 2014; 16(2): 141-9. [http://dx.doi.org/10.7586/jkbns.2014.16.2.141] ], the present study measured the effect until 120 minutes after the treatment and observed a significant difference between the experimental and control groups from 5 until 120 minutes after the treatment. Thus, this intervention is believed to have an effect that is both rapid and durable, and is safe to apply to hemodialysis patients without inducing nephrotoxicity. In summary, gargling with A-Solution as applied in this study significantly reduced both subjective and objective halitosis between the groups, across time points, and in the interaction between group and time point. A previous study found that an aroma necklace containing lavender and bergamot oil eased the subjective stress and state anxiety of hemodialysis patients, but did not affect their physiological responses, which implies that the effect of an intervention may be influenced by the pathological condition or lifestyle of the patients. Therefore, future research needs to be designed so as to control exogenous variables that may affect the results. As presented above, gargling with A-Solution applied to hemodialysis patients reduced their xerostomia and halitosis and increased the salivary pH over time in the experimental group, with the opposite effects being observed in the control group. Several previous studies have demonstrated the effects of applying aroma gargling to different groups of participants, but the present study is the first to have applied an aromatherapy for the oral care of hemodialysis patients with severe xerostomia and halitosis, and hence the present findings are considered highly meaningful. If a replication study is conducted for comparing the correlation between xerostomia and halitosis and salivary pH as mentioned above, aroma gargling may be used as a clinical nursing intervention to address oral problems in hemodialysis patients.